Visit the FutureVU website to learn more. 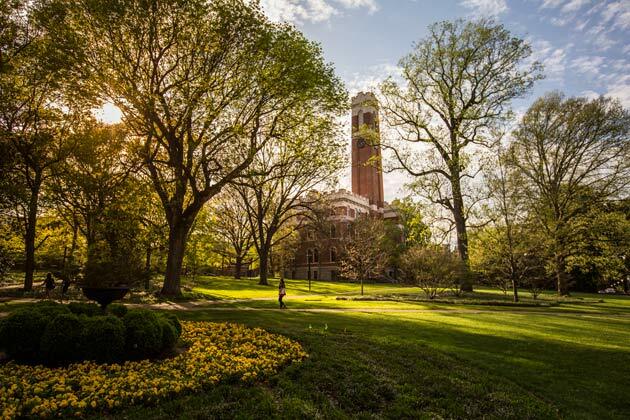 Ensuring the Vanderbilt University campus is designed and prepared at every level to support its students, faculty and staff, and to uphold the university’s mission and values, is the aim of the comprehensive campus land use plan named FutureVU. Launched in November 2015, FutureVU articulates a comprehensive vision for the university’s footprint and provides a basis for campus stewardship that enhances the university’s mission. 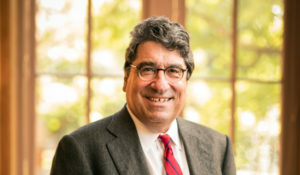 In June 2013, Chancellor Nicholas S. Zeppos launched an academic strategic planning process. This inclusive process synthesized input from the entire campus, including all ten colleges and schools. Through a bottom-up, faculty led approach, the effort included hundreds of faculty formally and informally in the process. In total, over a thousand colleagues (faculty, staff, alumni, etc) contributed to the process. 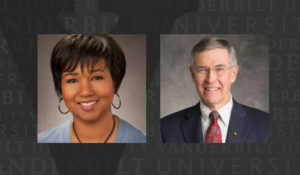 The end result was an Academic Strategic Plan, approved by the Vanderbilt Board of Trust in June 2014, that aspires to shape the future of higher education and make a positive difference in the world at-large. The plan was driven by a set of dynamic and inter-connected themes, including undergraduate residential experience, trans-institutional programs, healthcare solutions and education technologies. With the establishment of the Academic Strategic Plan, the university was in a position to pursue a campus land use initiative that provides a framework for ensuring that the future growth and development of the built environment aligns with the academic mission. In addition, the city of Nashville has seen unprecedented growth in recent years. Since 2010, the region has had the eighth-highest growth rate in the United States with over 82 people moving to the area each day. 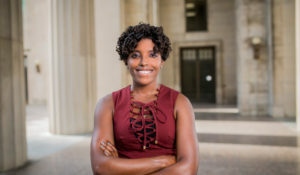 The university aims to maintain its ties with the surrounding Nashville community and to avoid becoming insular to the change occurring around the university campus. Similar to the academic strategic planning process, FutureVU has been an open and inclusive process involving over a thousand community members (faculty, staff, students, alumni, trustees, and Nashville community members). Broad consensus and support of the overarching guiding principles has been a cornerstone of FutureVU efforts. FutureVU provides a framework for the development of campus for the next 20 to 30 years, while considering core themes such as diversity and inclusion, environmental sustainability, connectivity and community enhancement, increased development and traffic around campus and preservation of the historic park-like setting. FutureVU is guided by those values that directly relate to Vanderbilt’s core mission of teaching, research and discovery. Through FutureVU, the university will ensure the fundamental principles its community cherishes as an institution are manifest in the campus’ physical surroundings.